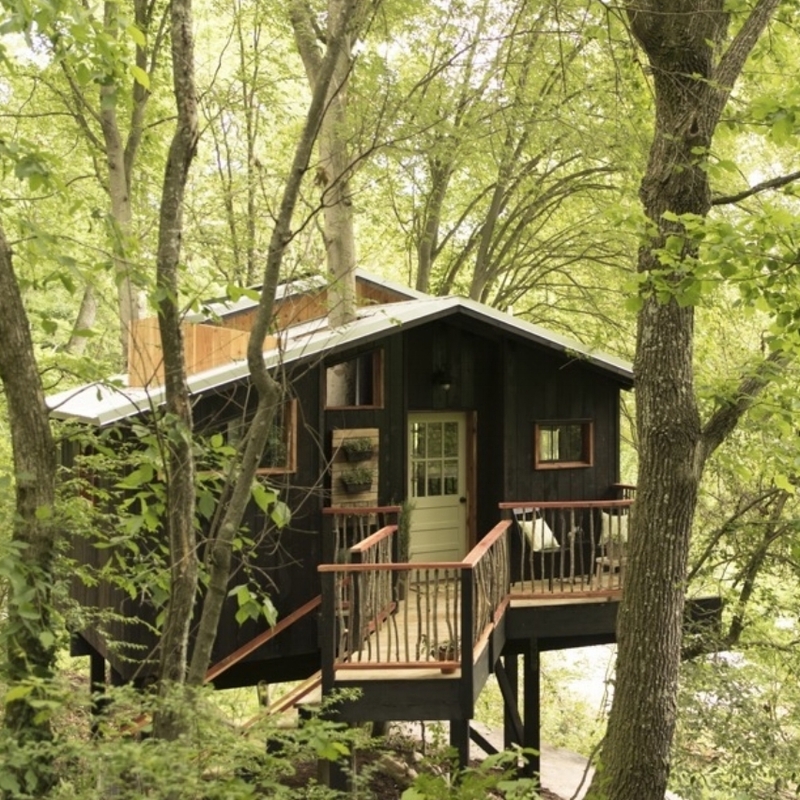 The Luna Loft Treehouse was built with care in an old fashioned barn-raising style. 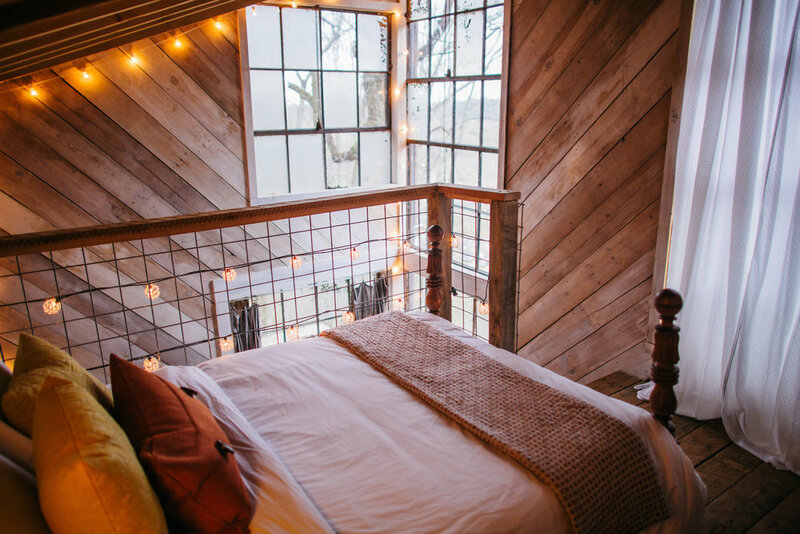 Every part of this treehouse has a story, like the reclaimed 1860's barn wood, the impressive 16' tall windows from an old warehouse, and the penny floor and copper-lined whiskey barrel shower in the bathroom. This treehouse came into existence because over 200 supporters believed in this vision enough to fully fund a Kickstarter crowdfunding campaign. The Elements Treehouse is one of the most luxurious treehouses out there, complete with heated floors, and a walk-in rain-head shower with a glassed in tree growing through it! This treehouse was built in partnership with the Dove Men+Care Brand, where we worked with Pete Nelson (of Nelson Treehouse and Supply and host of the Treehouse Masters TV Show) to build a treehouse showcasing the launch of this new product line. 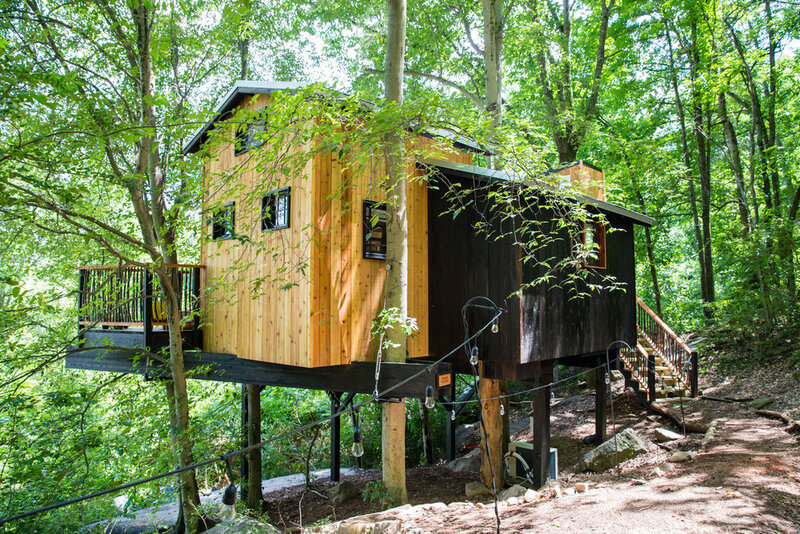 Located on the side of Lookout Mountain, just minutes away from downtown Chattanooga, Treetop Hideaways has the perfect old growth forest site that combines the best of southeast Tennessee’s wilderness recreation with easy access to its most celebrated mid-sized city. Outside Magazine recently recognized Chattanooga as the nation’s “Best Town Ever”, alongside many other publications praising the region’s recent cultural renaissance. Five to thirty minutes in any direction you can rock climb, hike, kayak, paddleboard, bicycle, explore caves, enjoy five star cuisine, tour museums and galleries, see national and local bands perform live, find artisan goods or shop major brands like J.Crew and Anthropologie, sip cocktails by expert mixologists, or enjoy a locally made craft beer or whiskey. Treetop Hideaways’ hosts are more than happy to share their favorite destinations as you plan your upcoming adventure.